Chang, C.-M., Wang, Z., Spencer Jr, B. F. and Chen, Z. 2013. Semi-active damped outriggers for seismic protection of high-rise buildings. Smart Structures and Systems. 11: 435-451. Morales-Beltran, M. and Teuffel, P. 2013. Towards smart building structures: adaptive structures in earthquake and wind loading control response–a review. Intelligent Buildings International. 5: 83-100. Smith, R. 2016. The Damped Outrigger-Design and Implementation. International Journal of High-Rise Buildings. 5: 63-70. ATC-PEER, Applied Technology Council - Pacific Earthquake Engineering Research Center. 2010. Modeling and acceptance criteria for seismic design and analysis of tall buildings. Choi, H. S. and Joseph, L. 2012. Outrigger system design considerations. International Journal of High-Rise Buildings. 1: 237-246. Hoenderkamp, J. 2004. Shear wall with outrigger trusses on wall and column foundations. The structural designof tall and special buildings. 13: 73-87. Hoenderkamp, J. C. D., Bakker, M. C. M. and Snijder, H. H. 2003. Preliminary design of high-rise outrigger braced shear wall structures on flexible foundations. Heron. 48: 81-98. LATBSDC. 2014. An Alternative Procedure for Seismic Analysis and Design of Tall Builings Located in the Los Angeles Region. Smith, B. S. and Coull, A. 1991. Tall building structures: analysis and design. Taranath, B. S. 1998. Steel, concrete, & composite design of tall buildings. Willford, M., Smith, R., Scott, D. and Jackson, M. 2008. Viscous dampers come of age. STRUCTURE magazine. 6: 15-18. Akbas, B., Shen, J. and Temiz, H. 2006. Identifying the hysteretic energy demand and distribution in regular steel frames. Steel and Composite Structures. 6: 479. Bojórquez, E., Reyes-Salazar, A., Terán-Gilmore, A. and Ruiz, S. 2010. Energy-based damage index for steel structures. Steel and Composite Structures. 10: 331-348. Papazafeiropoulos, G., Plevris, V. and Papadrakakis, M. 2017. 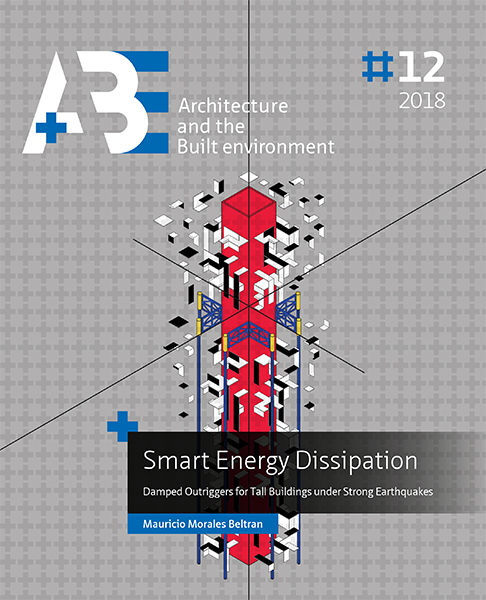 A New Energy-Based Structural Design Optimization Concept under Seismic Actions. Frontiers in Built Environment. 3: 44. Park, Y. J., Ang, A. H.-S. and Wen, Y. K. 1984. Seismic Damage Analysis and Damage-LImiting Design of R.C. Buildings. Shargh, F. H. and Hosseini, M. 2011. An optimal distribution of stiffness over the height of shear buildings to minimize the seismic input energy. Journal of Seismology and Earthquake Engineering. 13: 25. Council, A. T. 2010. Modeling and acceptance criteria for seismic design and analysis of tall buildings. Hoenderkamp, J. 2004. Shear wall with outrigger trusses on wall and column foundations. The structural design of tall and special buildings. 13: 73-87. INN-Chile 2009. NCh 433-of. 96 Diseño sísmico de edificios. 1993-1-1, E. 2004. Eurocode 3: Design of steel structures - Part 1-1: General rules and rules for buildings Applied Technology Council (ATC 72-1), 2010. Modeling and Acceptance Criteria for Seismic Design and Analysis of Tall Buildings, Report No. PEER/ATC-72-1, CA, 242 pp. Boivin, Y. and Paultre, P. (2012). Seismic force demand on ductile reinforced concrete shear walls subjected to western North American ground motions: Part 2 — new capacity design methods. Canadian Journal of Civil Engineering. 39: 738-750. Bojórquez, E., Reyes-Salazar, A., Terán-Gilmore, A. and Ruiz, S. (2010). Energy-based damage index for steel structures. Steel and Composite Structures. 10: 331-348. CSI (Computers and Structures Inc.).SAP2000 v10 Integrated Finite Element Analysis and Design of Structures. DIANA FEA, DIANA (Displacement Analyzer), Version 10.1. User manual. Delft, Netherlands; 2017. Gidaris, I. and Taflanidis, A. A. 2015. Performance assessment and optimization of fluid viscous dampers through life-cycle cost criteria and comparison to alternative design approaches. Bulletin of Earthquake Engineering. 13: 1003-1028. MATLAB R2013b The MathWorks, Inc. Natick, Massachusetts, United States. Zhou, Y. and Li, H. (2014). Analysis of a high-rise steel structure with viscous damped outriggers. The Structural Design of Tall and Special Buildings. 13: 963-979. BELTRAN, Mauricio. Smart Energy Dissipation. A+BE | Architecture and the Built Environment, [S.l. ], n. 12, p. 1-310, june 2018. ISSN 2214-7233. Available at: <https://journals.open.tudelft.nl/index.php/abe/article/view/2300>. Date accessed: 20 apr. 2019. doi: https://doi.org/10.7480/abe.2018.12.2300.